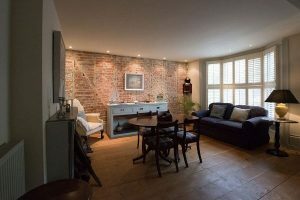 This is a rare opportunity to holiday in a beautiful Queen Anne beach house with breathtaking views from all floors and beautiful luxurious furnishings throughout. Situated in the lovely seaside village of Sandgate, this self catering holiday house is nestled between Hythe and Folkestone on the Kent coast. The cool, quirky features such as the curved, glass extension (built to reflect the shape of a wave, see?) were created by its previous interior designer owner. Current owner, Sally Musgrave, makes sure she maintains this high standard and wonderful fusion of old and new as well as improving the property even further, such as the rear garden. 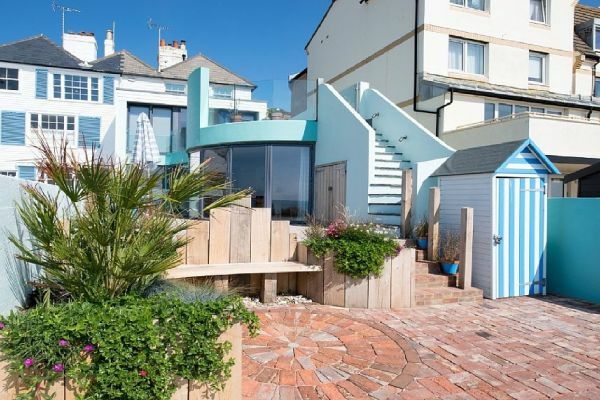 The stunning modern curved extension is mostly made of glass with concertina doors that can be folded back to bring the decking overlooking the sea into the living space. Four luxurious double bedrooms all with their own ensuite bathrooms complete the scene. 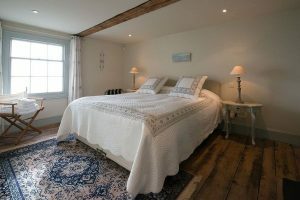 The rooms are luxurious with French inspired antiques combined with lots of modern touches to make your Kent holiday a memorable one. The lounge/dining room includes a fully operational kitchen. In the basement is a further kitchen which can be used when catering for larger numbers. Also in the basement is a games room with pool/air hockey/table tennis table and a piano, along with a number of board games. All in all this Kent holiday house has real wow factor, pretty as a picture, spectacular uninterrupted seas views and a convenient location within 90 minutes drive of London and 45 minutes on the High Speed train.